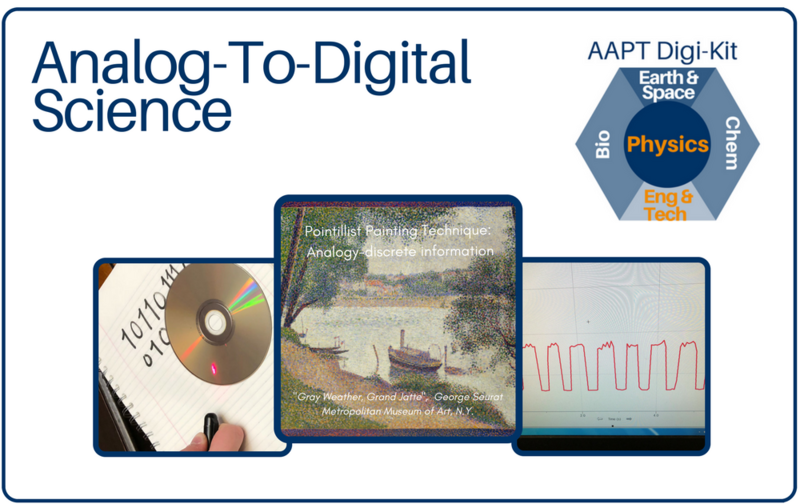 This interdisciplinary 5-day lesson module for high school physics uses modeling and hands-on investigation to explore how digital signals are created from analog information. Students will use art as an analogy to differentiate analog and digital signals; choose sampling rates and calculate sampling frequencies; and encode/decode words in binary. In the culminating activity, learners build a working model of a CD player that uses laser light to read a word coded as a binary message. The lesson can be adapted for learners with little or no background in binary number systems. Materials are inexpensive and readily available.